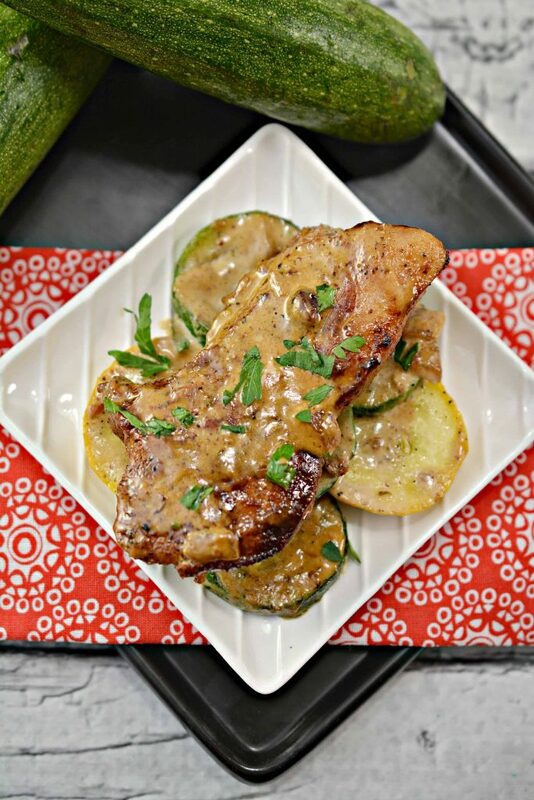 These delicious Keto pork chops in a mustard glaze make the perfect weeknight dinner! 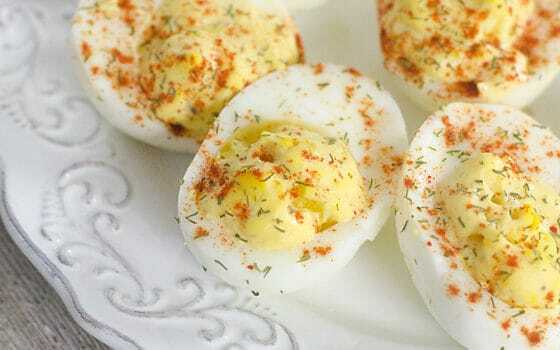 Serve with cauliflower rice or cauliflower mashed potatoes. The Ketogenic recipes I make and share here are meant to be enjoyed by the entire famil. 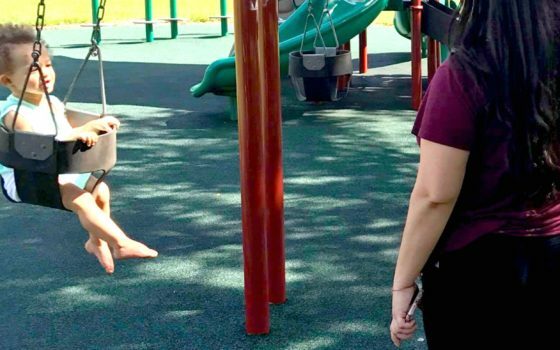 It’s hard enough to stick to any diet, but a diet where you have to also cook a completely separate meal for your family is a huge time killer! 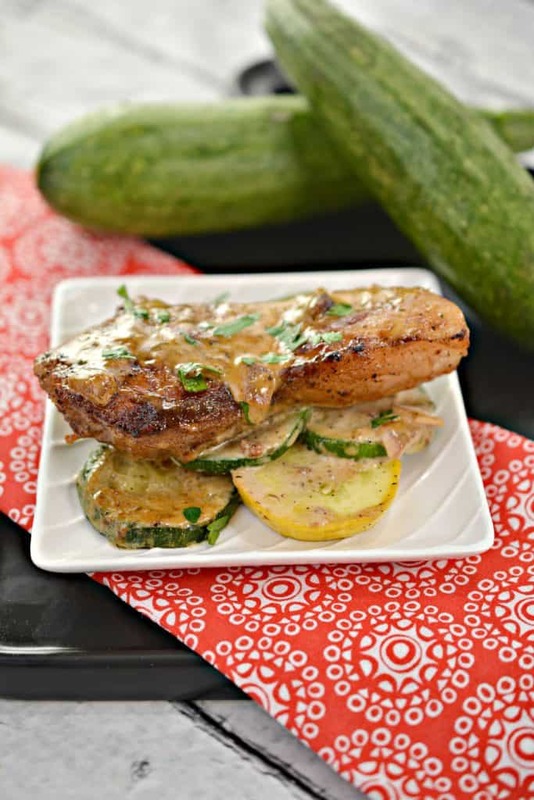 This Keto pork chop recipe is the perfect example of a recipe the whole family will love! 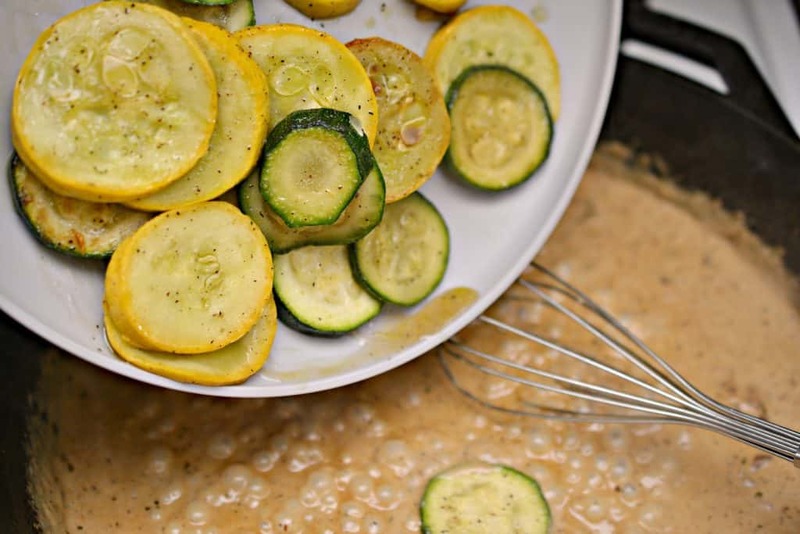 The dijon mustard sauce tastes amazing, it’s made with heavy whipping, and dijon mustard. 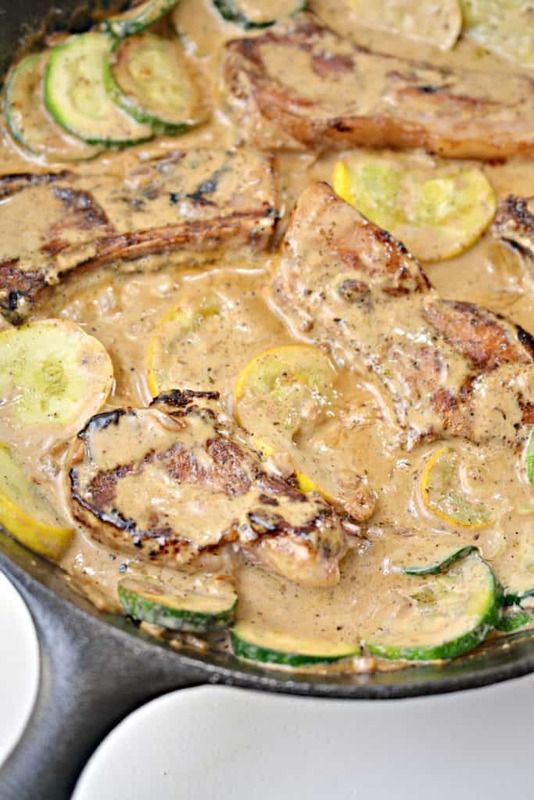 You’ll get a creamy sauce that heats up well and perfect for meal planning! Heat 1 tbsp of the olive oil in a large skillet over medium high heat. 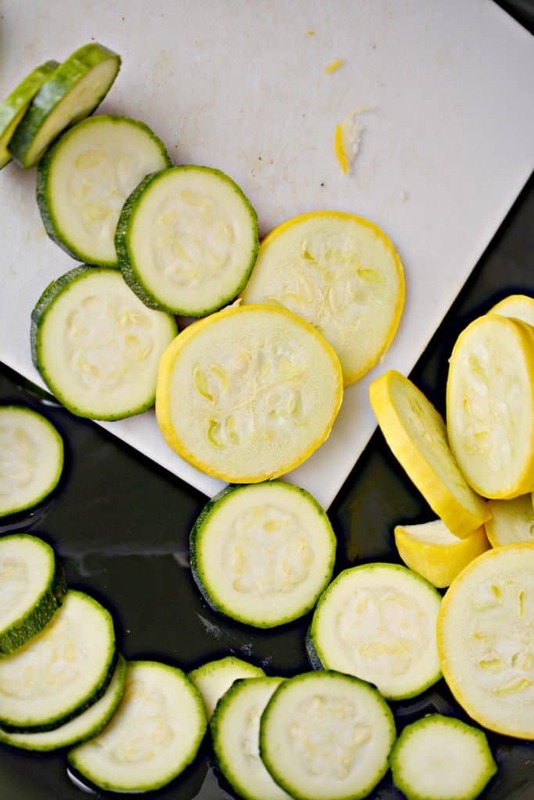 Add the sliced zucchini and yellow squash to the heated skillet, and saute for 5-7 minutes until the vegetables are starting to become tender, but still have some bite to them. Remove the vegetables to a plate and keep warm. 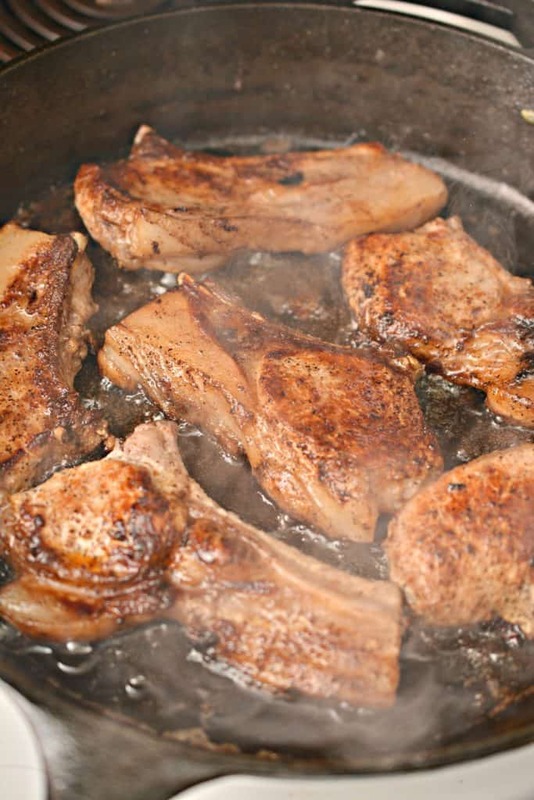 Add the other tbsp of olive oil to the skillet, and place the bone in pork chops into the heated skillet. 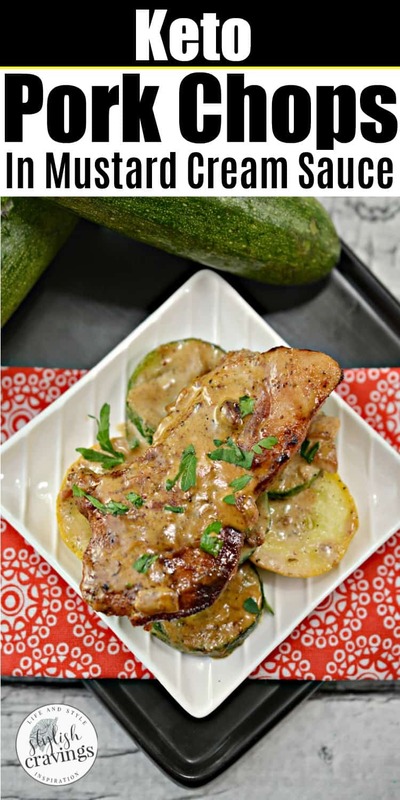 Apply salt and pepper to the pork chops, and cook until browned on both sides, and until the center reaches an internal temperature of at least 140 degrees. 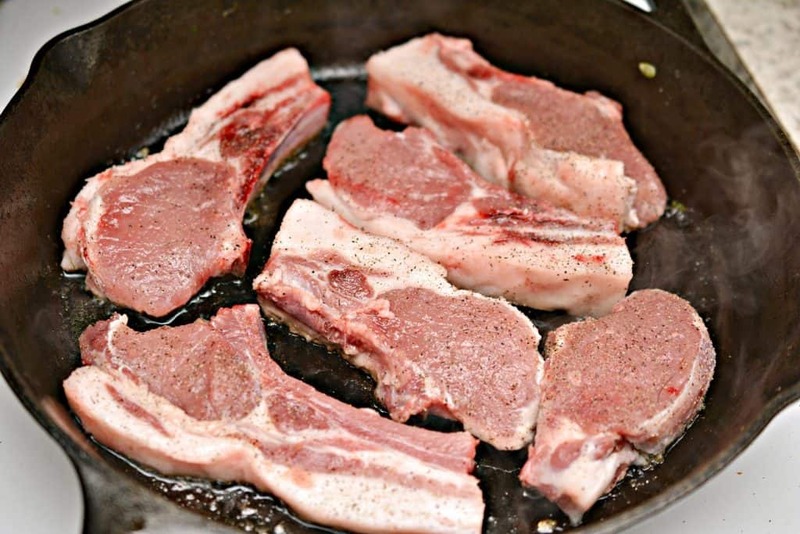 Remove the pork chops from the skillet and keep warm. 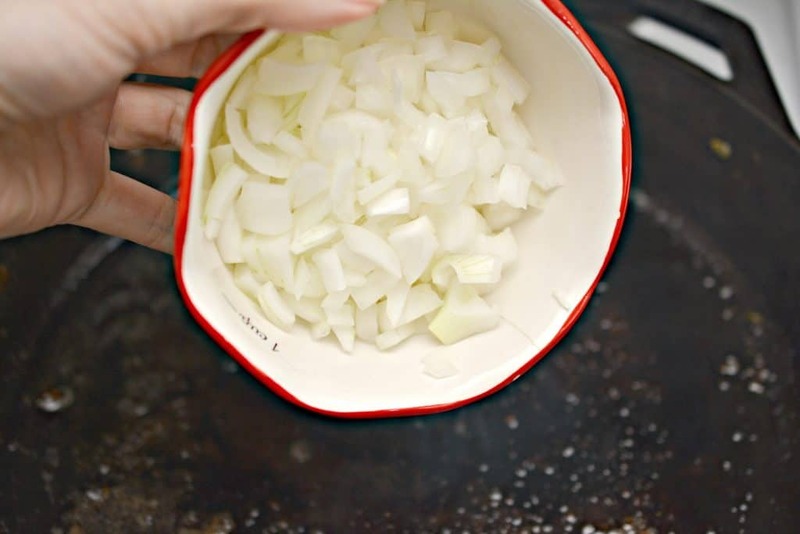 Pour off any extra grease from the skillet, and add in the diced onion. Cook for a few minutes until the onion begins to become tender. 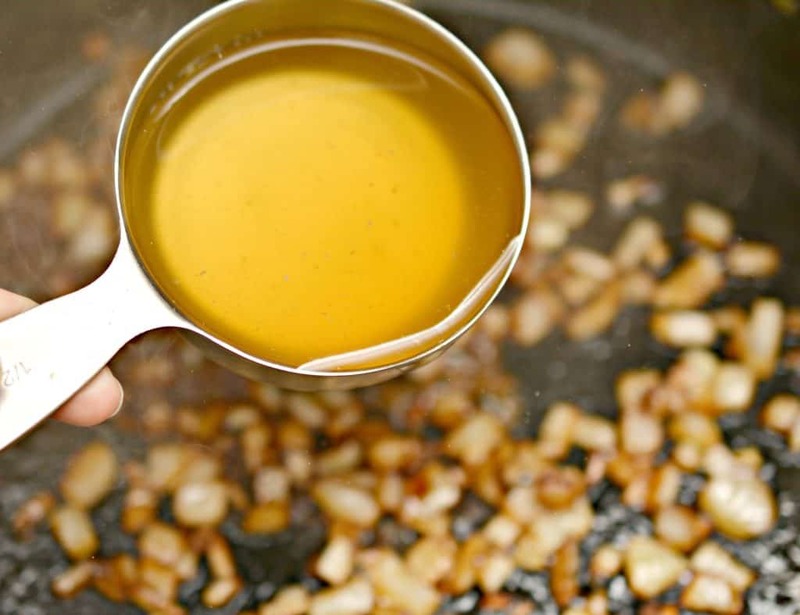 Stir in the bone broth, and scrape the bottom of the skillet to deglaze it. 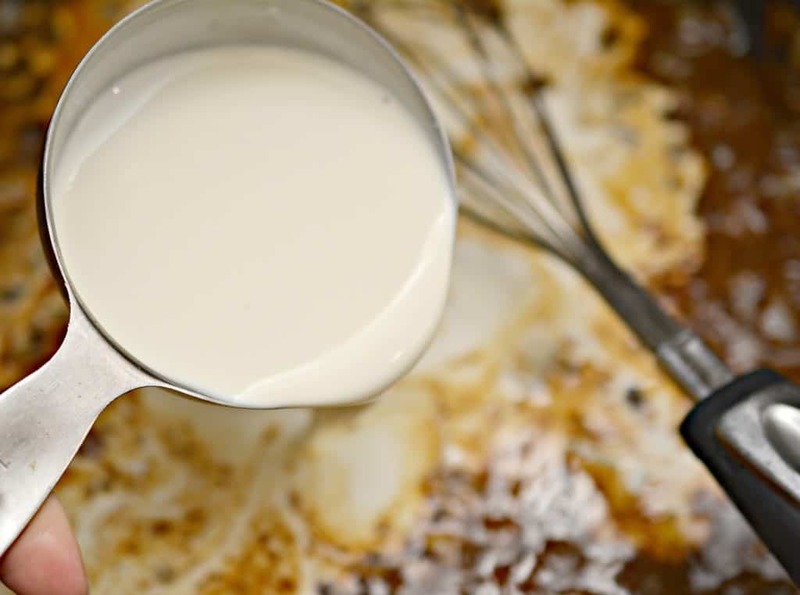 Add in the heavy whipping cream and oregano, stirring well to combine. 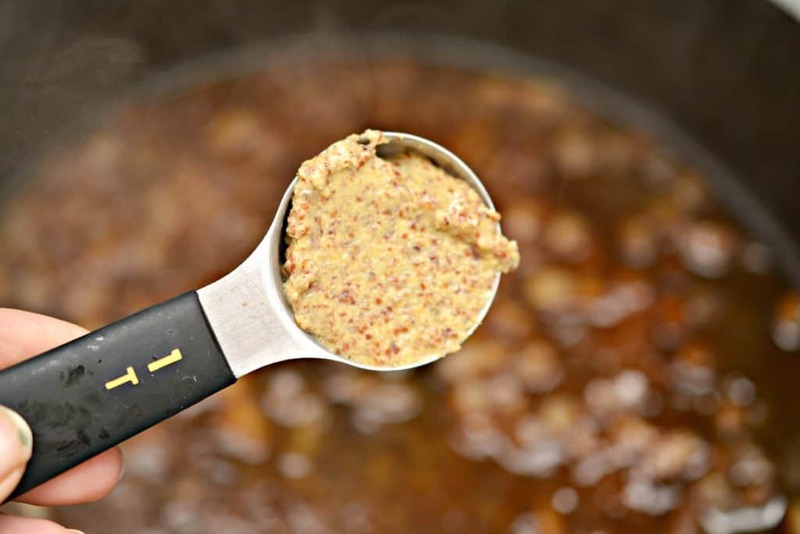 Reduce the heat to medium or medium low, and cook until the sauce has thickened a bit. Add salt and pepper to taste. Mix back in the sauteed vegetables and the pork chops, and serve. 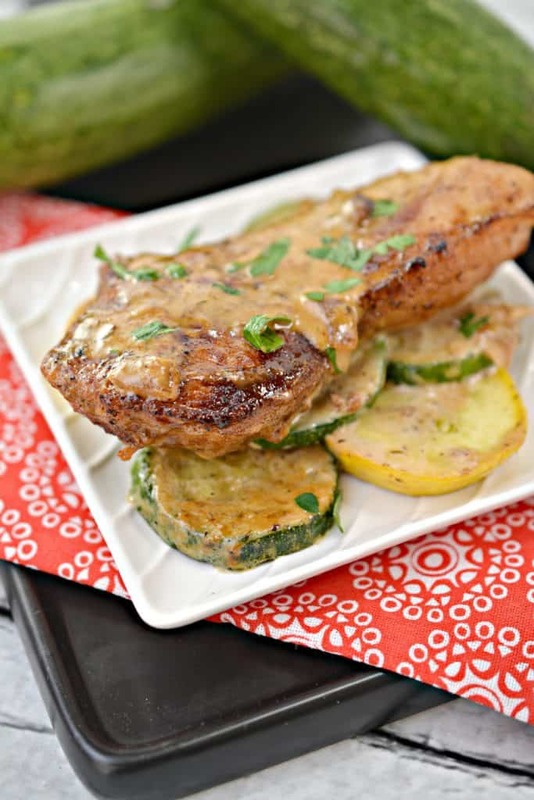 These pork chops in mustard cream sauce sauce heat up very nicely! Make an extra batch and freeze them for later by allowing the pork chops and sauce to cool in the freezer in an air tight container. The night before you’re ready to eat, simply thaw in the refrigerator overnight. 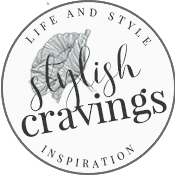 Follow me on Pinterest where I share more Keto Recipes!